It’s the second time I have photographed this man who runs a kiosk selling snacks near the Radha Govind Mandir Temple in Jaipur. 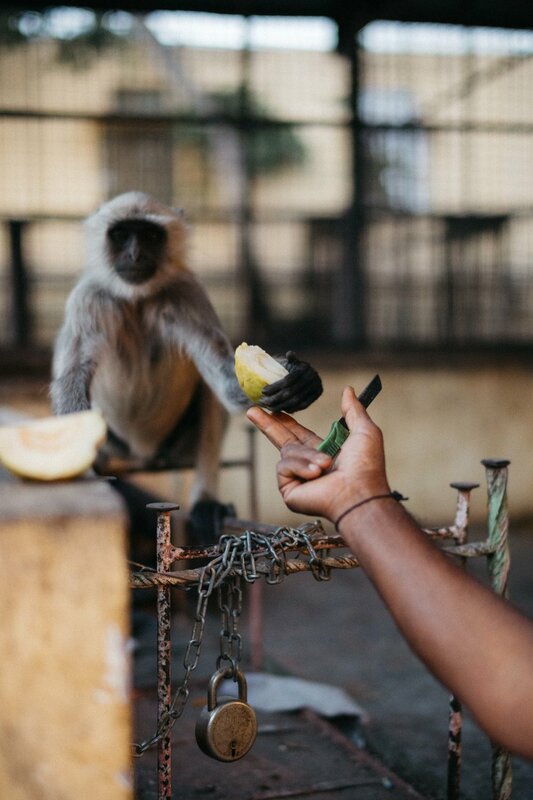 Both times we’ve met, it’s been evening time when he hands out food to the Langur monkeys that live nearby. 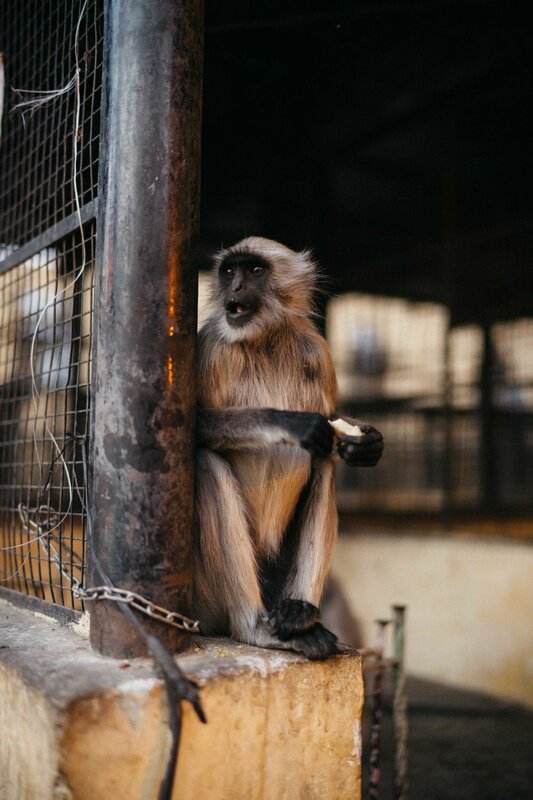 These grey Langurs are also called Hanuman monkeys after the monkey faced Hindu god they resemble.